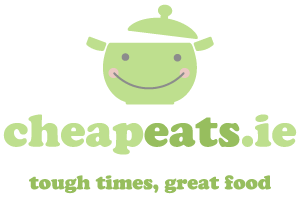 Welcome to CheapEats.ie! We are currently taking a break from blogging as we’re both so busy*, but are regularly updating the CheapEats Twitter feed with useful links for foodies, notes about bargains and special offers, plus childish jokes and random nonsense. Follow us there, say hello and share your tips for cheap eats in Ireland! You can use the category menu on each page to browse through all our posts by topic.